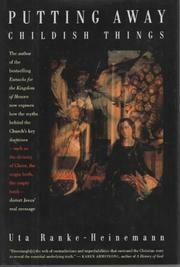  German theologian Ranke-Heinemann (Eunuchs for the Kingdom of Heaven, 1990), who was barred from teaching by the Vatican because of her view that the Virgin Birth is a theological idea rather than a biological truth, discusses some of the traditional teachings of the Christian faith and the Catholic church in this pedantic and overly didactic volume. The author contends that the questing mind is vital to Christianity but that, instead of reason and intellectual honesty, the Church has too often given believers a set of fairy tales to which they must profess adherence or be branded as heretical. Her intent is to help doubters and skeptics along in their inquiries. Faith, she believes, must seek understanding. To this end, she argues that the Church's account of Jesus' birth and childhood is a fabrication. Similar treatment is given to the various miracle stories about Jesus. Almost nothing certain, she asserts, is known about Jesus except that he lived and was put to death. The rest is all veneer to advance theological and political points of view. Such is the case, for instance, in the story of Judas the traitor, an incident, argues the author, invented to advance an anti-Jewish agenda. In fact, Ranke-Heinemann argues that many of Catholicism's ``fairy tales'' reveal deeply rooted anti-Semitism and sexism. The author advances all of her assertions as if they are somehow startling, even though most have been made by Protestant scholars and others for years. She too easily confuses the Catholic Church that banned her with Christianity as a whole.